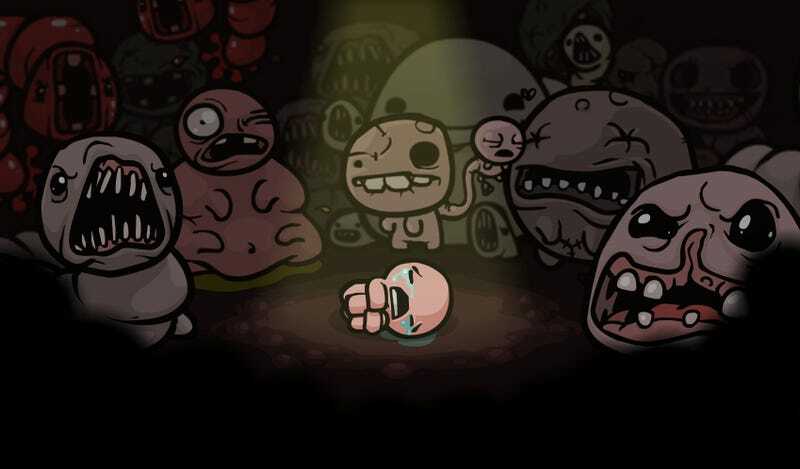 I’ve only scratched the surface of The Binding of Isaac: Afterbirth, the latest expansion to Edmund McMillen’s popular roguelike, but I already know what might keep me coming back: the fantastic addition of a daily challenge mode. Lots of games build in reasons to play every day—The Phantom Pain gives out resources for base building, Destiny provides bonus for certain events, MMOs have regularly included daily quests—but it’s different with The Binding of Isaac. A big reason people come back to The Binding of Isaac over and over again is the game’s randomness. The maps change every time you play, and so do the items that might come your way. This means players are forced to adapt and change during every run, even if their general skills still apply to navigating the world. What randomness does, however, is make it tougher to “compete” against other people. The Binding of Isaac doesn’t feature multiplayer—the co-op mode it does have is limited—but daily challenges essentially gives the game multiplayer. Here’s how it works. The daily challenge flattens the game by generating a single “seed” for everyone to play off of. Rather than every person experiencing a different version of The Binding of Isaac, you’re all working off the same map, items, and bosses. You still blame a bad run on crappy luck, but everyone is dealing with the same crappy luck, so it becomes a matter of who can adapt. When you boot the game up, in addition to the normal selection of game modes, there’s also a daily challenge teased in the corner. You don’t have any idea what’s actually waiting for you in the daily challenge—as long as you don’t sneak a peek at someone who’s already played it—so everyone goes in fresh. About 15 minutes in, I made the critical mistake of choosing the dead cat item, which technically gives you 10 lives...but each life only gets a single heart. It’s terrible, an item that I’ve never found much use for, and it doomed my run. I soon entered into boss rooms where I was unable to avoid getting hit. That’s not usually a big deal—bad runs are at the core of playing a game like this—but it’s all the more stressful when you’re only getting one shot at it. Then, you’re told how you stacked up to the competition. Uh, at least I wasn’t last? I’ve wanted a reason to dig back into The Binding of Isaac. This may be it.